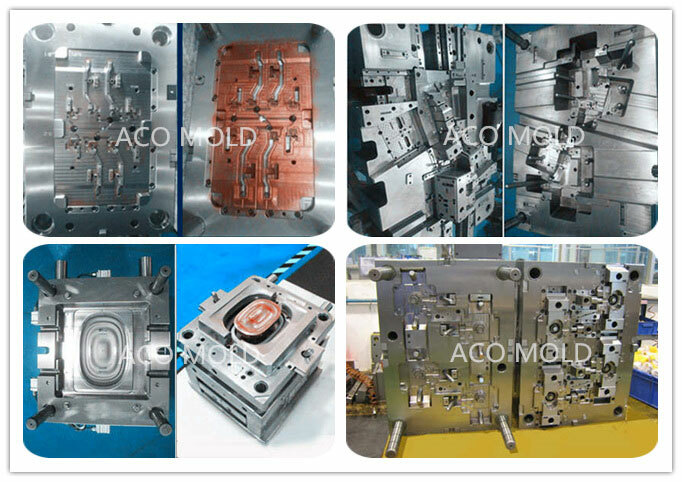 We are capable of a wide variety of mold structure, familiar with standards of HASCO and DME, our moulds have a wide range of product application. Auto spare parts, lighter, electronic product case, coffee machine housing, foot container, filter housing, gardening tool etc. 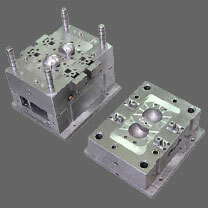 Mold structure: lifters, slider action, floating cores, reinforce release, 2 times ejection, double injection etc. Capacity: 1 million molding cycles guaranteed or lower volume as demand. Mould Cavity: single cavity mold/multiple cavities. Mould Steel: 1.2344.H13,S136, 1.2312,1.1730, copper. Design Software: Pro-Engineer, UG, solidwork Auto-CAD. Gate: tunnel gate, fan gate, hot runner direct gate , value pin gate. Equipment: CNC, wire cut, EDM, grinding machine, milling machine. Delivery Time : 4 weeks after deposit and 2d mold structure layout approved. Payment Terms: T/T 50% with PO, 30% with T1 molded sample, 20% upon approval or other ways negotiated by both side. Transportation: air shipping, sea shipping, worldwide express services available. Packaging: sealed with vacuum bags to prevent from water and air, standard wooden box to protect from damage.